In relation to the matter before this court being an Application to sell abandoned goods held by the City of Greater Geraldton. I formally challenge your ability firstly to constitute a Lawful Court under State Acts and Statutes. There is no authority for you to sit in Admiralty Law in Our Court nor have we given you any authority. Our authority is We Are The Commonwealth as established under the Commonwealth Constitution Act 1900 UK and the Commonwealth Constitution 1901 which we accepted by Referendum. The State of Western Australia, like every other State did not exist before Federation, they were Colonies and ceased to exist on the proclamation of the Commonwealth Constitution Act 1900 UK by way of Clause 7. 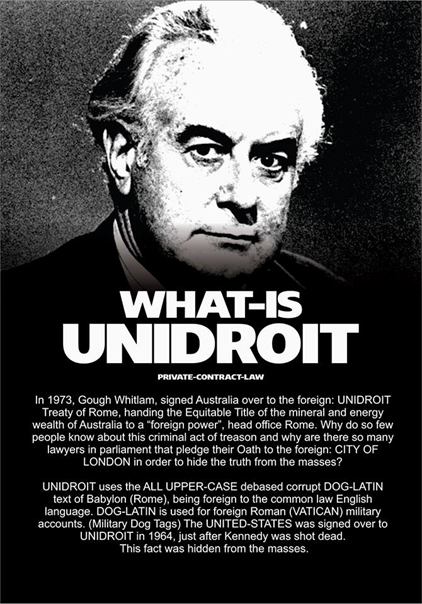 In the High Court HCA 48 of 1996 the case of James Andrew McGinty v The State of Western Australia states clearly that the States did not exist prior to Federation they were as I have said Colonies that ceased to exist on the proclamation of the Commonwealth Constitution by Clause 7 of that constitution. The States were established by and their constitutions were authorised subject to the Constitution Act UK and altered in accordance with their constitutions [not amended or changed] The interpretation of 106 is explained fully in paragraph17 of HCA 48 of 1996. In HCA 58 of 1998 ~ Fejo v The Northern Territory Government 10th September 1998. The court ruled “Not even the Queen can enter your property without a warrant issued under the Crown.” Further it ruled that all land held in “Fee Simple” is owned by the holder under Challis Real Property 3rd edition. What that means is We Are Not Tenants We Own Our Property and it is alienated from the Crown, the only authority to tax or control Our Land. The state constitution and the Office of Governor of each State were put in place with a Letters Patent by Queen Victoria on the 29th of October 1900. Only the Monarch can change a Letters Patent. The Statute of Monopolies applies. Section 52 and 53 of the State Constitution were removed and Local Government was added. That is a Clear Act of Treason by the then “Government”. In an “Attempt” to make that “Unlawful” “Transaction Lawful” the Federal “Government” put a referendum to The People to get us to approve what they did. That referendum failed. It would have changed the Commonwealth Constitution which is an Act of Treason against the Crown and would be Void in Law. For the state constitution to continue after 1979 the “Unlawful Act” would have to be removed. It was not so the state constitutions right to exist was revoked it no longer complied with 106, 107, 108 and 109 of the Commonwealth Constitution Act 1900 UK and Commonwealth Constitution 1901. No Laws, No Decisions of Courts and No Prosecutions are Lawful until the State Constitution is re-instated to its Original Form. The Letters Patent for the Office of Governor states clearly “First” Judges and Magistrates are selected by the Governor in Council and they must swear the oath of allegiance. You know, the one removed from the state constitution using the oaths Affidavits and Statutory Declarations Act, another Clear Act of Treason. “Second”, the Governor Sells Land, Transfers Land and Issues Titles by authority of his Letters Patent. Further it states that the Governor is the Highest authority in the State Government and must be obeyed. We do not have a Lawful State Governor as they are not sworn Officers of the Crown of England, and certainly not that Traitor Beasley a Level 33 Freemason. Ref Section 44 of the Commonwealth Constitution. A court is a gathering under the sovereign and without a Lawful Oath, which you have not taken. You can not constitute a Lawful Court. Nor has any other court been lawfully established since Local Government was added to the state constitution in 1979. HCA 29 of 2009 ~ Lane v Morrison, per Chief Justice French, “A court is a gathering under the sovereign,” You are Not a Lawfully appointed and sworn Officer of the Crown, so you can’t gather under the sovereign. So now comes the conclusion which now must be put to the High Court by a Lawful State Governor which we do not have in Our Parliament. The City of Greater Geraldton, and the Three Lawful Tiers of the State Government were Lawfully Seized under the authority of the Crown by Clause 61 of Magna Carta and are held by The People who are the Lawful State of Western Australia. No decisions of any State Court can fix your problem nor can they have any authority until the Kings Bench in the High Court rectifies your problem. This is not attempt by me to overthrow a Lawful Government, it is a Lawful Seizure of the Assets of The People of this State from an Unlawful Government. 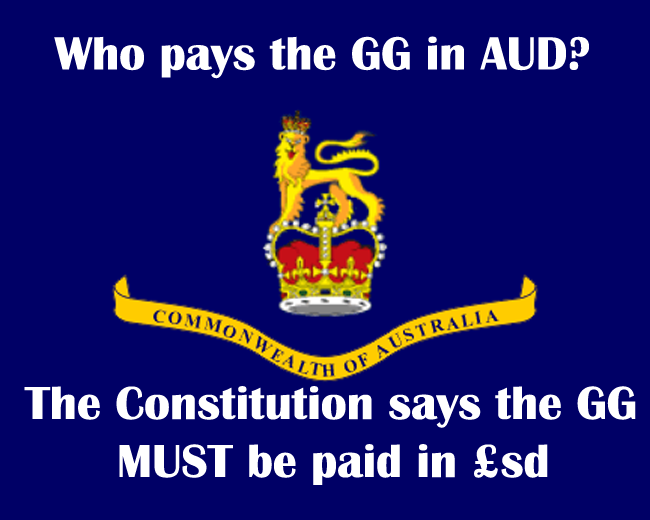 I do not want Judges, Magistrates and Politicians jailed, I like other Australians require them to comply with Our Lawful State and Commonwealth Constitutions in compliance with the Commonwealth Constitution Act 1900 UK and the Commonwealth Constitution 1901. And all the Letters Patent. Further We The People require you to hand to us Our Lawful Titles to Our Properties which We Own. Further We The People require you to remove all taxes, charges and control from Our Properties in accordance with Our Rights and decisions of Our Court, the High Court of the Commonwealth of Australia as authorised by the Commonwealth Constitution Act 1900 UK and the Commonwealth Constitution 1901. We Demand al of the assets of the Commonwealth being us The People be returned to us as You Stole them and no one can profit from Your Theft ~ “Our Law”. Now Please Remove Yourself from Our Court.